After much anxiety for fans who waited, CBS finally revealed the fate of 'Supergirl.' Despite being a relative hit freshman show on the old timey network, CBS chose to move it to the CW network for its second season. Based on the DC Comics' character Kara Zor-El, Superman's cousin, who's sent to earth to avoid the destruction of her planet Krypton in the same fashion the Man of Steel was, Supergirl became the only current superhero show with a female lead. The series from superproducer Greg Berlanti brought his expertise of establishing comic book shows like Arrow and The Flash on the CW to the Tiffany network that traditionally skews older viewers. Nonetheless, the show averaged a 2.5 rating in adults 18-49 and 10.03 million viewers overall in the "live plus-7" estimates. It was CBS’ top-rated new drama this season in the demo, and was also its youngest-drawing drama with a median age of 55.6. Unfortunately, it was somehow lower from the network’s usually mediocre but popular comedy lineup in the Monday night timeslot last year. 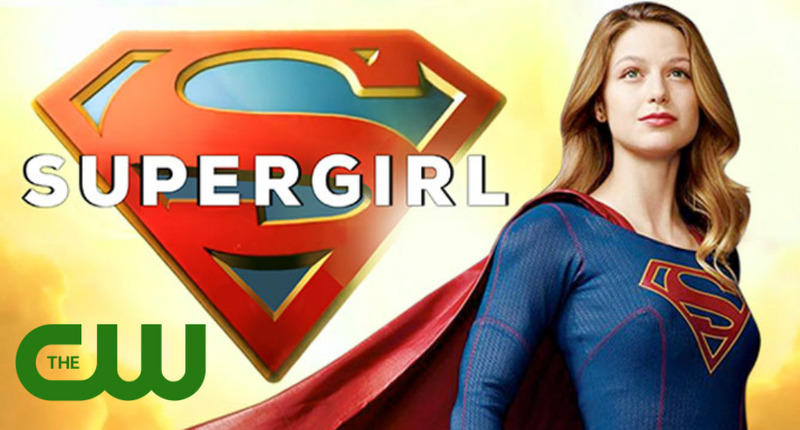 Now, 'Supergirl' gets to be alongside Berlanti's other shows on the same network with a much younger viewing audience. The ratings burden is much lower at the CW but the network is much more supportive of its genre shows than CBS ever could. The exceptional work done by Melissa Benoist as the titular hero and Calista Flockhart as her tough but mentoring boss Cat Grant will be able to live on as it continues to grow and develop into a solid action drama. The unusual move from one network to another also means more frequent crossovers between its DC shows. The crossover with "The Flash" on March 28 provided a ratings boost for both shows. The "Supergirl" episode, co-starring Grant Gustin as Barry Allen/Flash, averaged a 2.5 rating in 18-49 and 9.6 million total viewers in L+7, the show’s best ratings in the second half of its season. The move to the CW also means its production moves from Los Angeles to Vancouver joining Arrow and The Flash. The cost-cutting move is just one aspect of leaving the deeper pockets of CBS to the more frugal but inventive finances of the CW. 'Supergirl' also stars Mehcad Brooks as James Olsen, Chyler Leigh as Kara's adoptive sister Alex Danvers, Jeremy Jordan as Winn Schott and David Harewood as Hank Henshaw/Martian Manhunter.